Don't waste energy and heat rooms you aren't using. Maintain individual room control with portable electric convector heat - get heat only in the places you want. 100% energy efficient. Heat is dissipated by large fins into a strong convection flow. This delivers every bit of available heat. Distinctively designed. High-impact Lexan® end panels with built-in handles. Low profile design enhances the unique appearance and add to the units overall stability. Fills entire room with even comfort. No cold spots. No hot spots. The complete heating cycle fills your entire room with uniform, gentle floor-to-ceiling warmth and comfort. Safety thermal cutout protection. 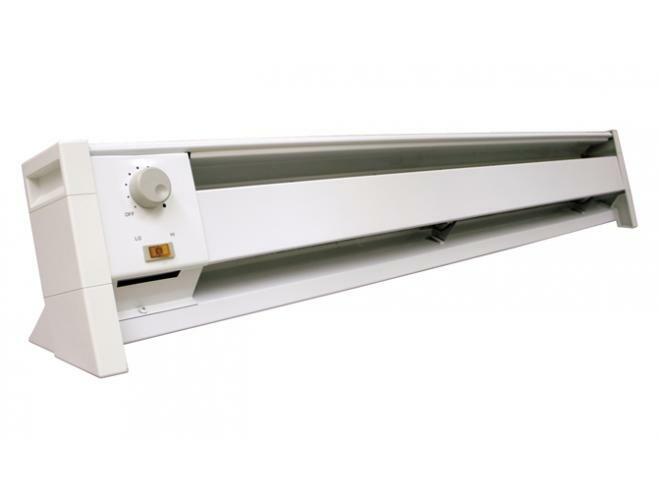 Linear high temperature cutout safety checks the entire length of heater and will automatically shut off heater and will automatically shut off heater in the event of accidental air blockage.